The 2nd Annual Cannon Beach Comedy Festival brings a cavalcade of stand up comedians to the stunning Oregon coast, June 15-16th. The festival is produced by the nonprofit Tolovana Arts Colony and made possible by a Tourism and Arts grant from the city of Cannon Beach. Thanks to their support, tickets super cheap, just $20 for the whole weekend, and there's no comedy club traps--no drink minimums. Plus you get to hang out in Oregon's best beach town, just 75 short miles from downtown Portland. I know. I can't believe it either. Mixing a dry sarcasm with his biting commentary on life, Lachlan Patterson has achieved major success as a Stand-up Comedian, Writer, and Comedic Actor. Since finishing as Runner Up on NBC's Last Comic Standing Lachlan has become a regular guest on FOX’s upcoming new hit comedy PUNCHLINE and a special guest on FX’s LEGIT and Comedy Central’s TOSH.O. Caitlin Weierhauser spent her childhood in an Ewok tree fort with a rubber band cross-bow, her wolf, and a budding resentment of The Man. She grew up to be a tantrum-prone queer, feminist, vegan liar that creates safer comedy spaces and is never happier than when she's mad. Caitlin is a member of Lez Stand Up and has performed at All Jane Comedy Festival, Bumbershoot, and Bridgetown Comedy Festival. She was included in the AfterEllen list of "40 Hot Queer Ladies in Comedy," and plans to take down the patriarchy by Christmas. And one time, Salt & Straw even named an ice cream flavor after me (“Chocolate and Falcognac”) and it was delicious. Despite these modest accomplishments, I’ve somehow remained totally down to earth and approachable. 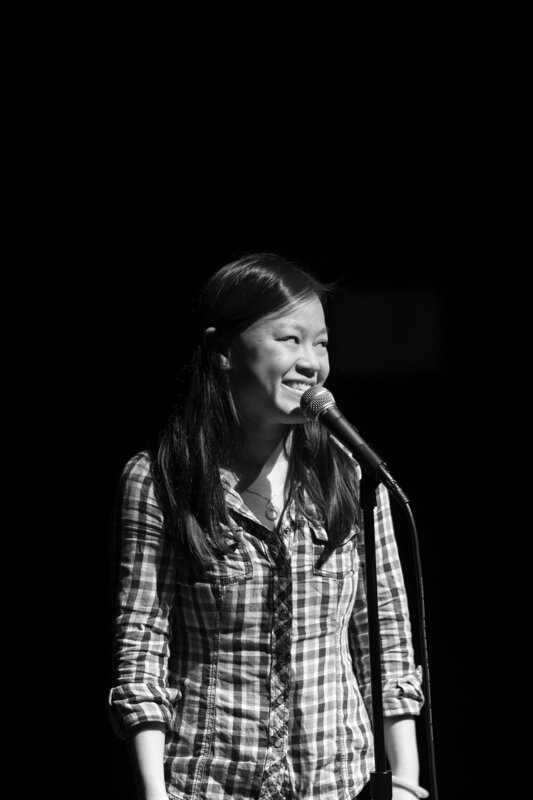 Katie Nguyen writes and performs stand-up, improv, sketch, and more. She has opened for Matt Braunger, Ron Funches, and has performed across the country at festivals including SF Sketchfest, Asheville Comedy Festival, 10K Laughs Festival, Stumptown Improv Festival, and Bridgetown Comedy Festival . Phil Schallberger is a comedian from Portland Oregon. 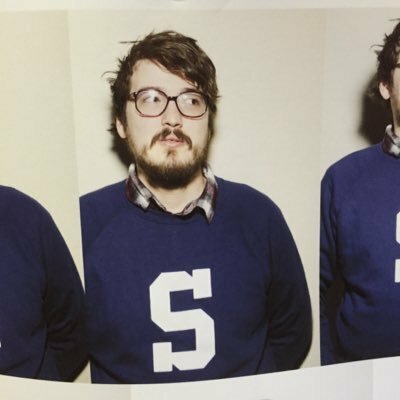 He's recognized as one of the most unique and uncompromising comics in the Pacific Northwest and has been featured in the Seattle Sketchfest, San Francisco Sketchfest, Bridgetown Comedy Festival, TBA, and Hell Yes Fest. Mixing his years of experience with formal stand-up, sketch, and improv, Phil is able to weave in and out of multimedia, character, and sketch performance to create a distinctive solo-sketch show which has been regarded favorably by many. If you’re looking for something new that combines all your favorite elements of comic performances, Phil Schallberger is the guy for you. If that's not what you're looking for, might I recommend the comedian Kevin Hart. 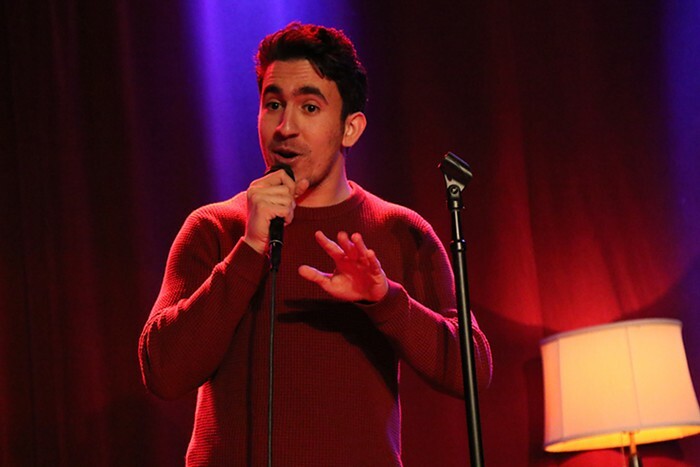 Mohanad Elshieky is a comic from Benghazi, Libya, currently residing in Portland, OR. He uses his personal life stories from home and daily encounters in the U.S to deliver a fresh new perspective to the scene. Not afraid to say what is on his mind, he discusses world politics, Arab stereotypes, and encourages people to learn how to correctly pronounce the word "Hummus". Anthony is a Portland comedy staple. He’s a regular at Helium Comedy Club and has appeared in every year of the Bridgetown Comedy Festival. His writing credits include The Willamette Week, The Gotham Awards, Late Night Action, Live Wire Radio, and he's appeared at the Hell Yes Fest in New Orleans. Shain Brenden is a comedian, writer, TV personality, and full-time handsome person based in Portland, Oregon. He pulls double duty on two shows for NBC Sports Northwest as a host on Blazers Outsiders, and the 'Man on the Streets' for The Bridge, where he gets to bring his two loves together: comedy and the sports. He plays a lead in multiple 2018 Oregon State Lottery commercials where he makes a lot of faces, says nothing, and shoves jalapeno poppers in his mouth. Keep an eye on this space - we'll be announcing more comedians as the festival approaches!